Female body size is more sensitive to the environmental conditions during development than male body size in many insect species with female-biased sexual size dimorphism (SSD) (i.e., females are larger than males). However, the sexual difference in body size plasticity is largely unknown in species with male-biased SSD. Here, I conducted a laboratory experiment using low- and high-quality diets to examine sexual differences in body size plasticity in the male-larger rhinoceros beetle Trypoxylus dichotomus Linnaeus, 1771 (Coleoptera: Scarabaeidae). I found that male body size was much more greatly affected by nutritional status than female body size. The stronger condition dependency in male body size is likely associated with sexual selection for male body size. 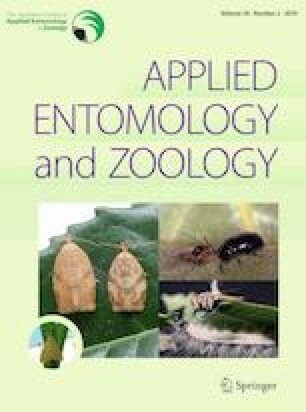 Furthermore, in wild-caught beetles, males showed larger body size differences between years within populations, while the body size of females was more constant. Within populations and years, male body size also showed greater variation than female body size. In addition, SSD of field-caught beetles was usually much smaller than that of lab-reared beetles of corresponding populations. Thus, the stronger condition dependency of male body size in this species probably has profound effects on the variation of observed body size and SSD among and within populations. I would like to thank Dr. Takuma Takanashi, Hiroshi Makihara and Aika Kawachi for their help in collecting beetles and morphological measurement. I am very grateful to the two anonymous reviewers and the associate editor for valuable comments on the manuscript. This study was supported by JSPS Grant-in-Aid for Research Activity Start-up, Grant number 17H06901.